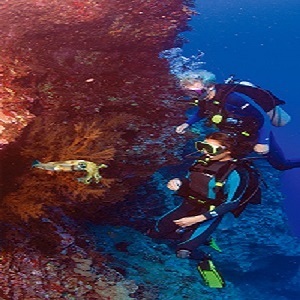 MAUI DIVE SHOP WILL NO LONGER OFFER THE 2 TANK WRECK & MOLOKINI DIVE AS OF MAY 11, 2019. Our apologies for any inconvenience. Our first dive is at one of Maui's sunken wrecks off the South or West coasts. Dive sites can include, but are not limited to, the Carthaginian II (a replica of a whaling brig), Hell Diver (World War II plane wreck), Triple Anchors (giant historic ship anchors) or the St. Anthony (a 65' longliner fishing boat). Our second destination is the world famous Molokini Crater, a marine reserve below water and bird sanctuary above. The visibility on this reef system averages 100+ feet. Molokini is one of the few places in the world where you can see Hawaiian Garden Eels, Masked Angelfish, Long-Nose Hawk Fish and many more fish endemic to the Hawaiian Islands. PLEASE NOTE: MAUI DIVE SHOP WILL NO LONGER OFFER THE 2 TANK WRECK & MOLOKINI DIVE AS OF MAY 11, 2019. 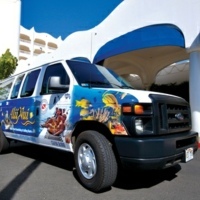 Try our 2 Tank Molokini & Turtle Town dive instead.